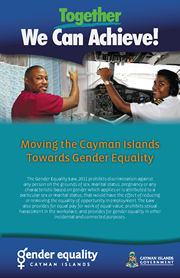 If you have reasonable grounds to believe that you have been discriminated against as outlined in the Gender Equality Law, a complaint can be made to the Gender Equality Tribunal within 6 months of the date on which the alleged act(s) occurred. 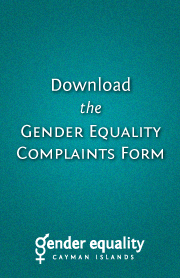 A complaint can also be made by someone other than the alleged victim of discrimination. However, the Tribunal cannot deal with a complaint made by a third party unless the alleged victim consents. 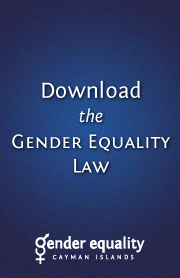 To file a complaint with the Gender Equality Tribunal, please download the Complaint Form and follow the instructions. Once the form is completed it can be emailed to get@gov.ky. For any reason and at any stage after the filing of a complaint but before the commencement of a hearing, a complainant may withdraw his or her complaint by written notice to the Tribunal. The notice need not include reasons for the withdrawal. At any stage after the filing of a complaint and before the commencement of a hearing by the Tribunal, the parties may also make an agreement and notify the Tribunal, in writing, of the terms of the agreement.